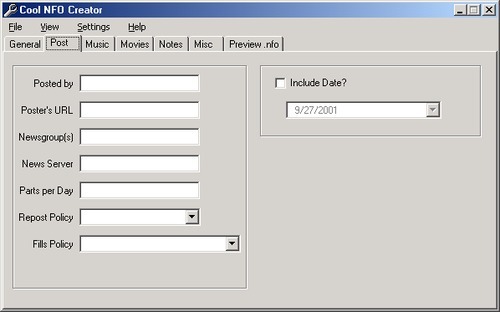 Great for personal archival use and for posting binaries to USENET, Cool Beans NFO Creator is a small program that generates detailed .nfo text files based on nearly fifty user-input fields. 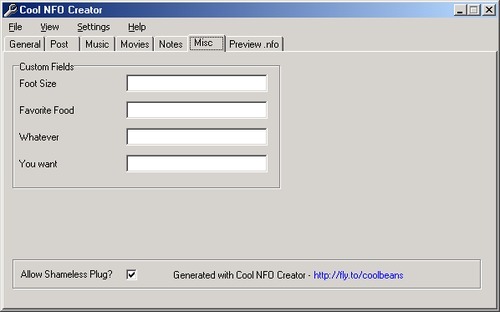 Cool Beans NFO Creator is freeware. 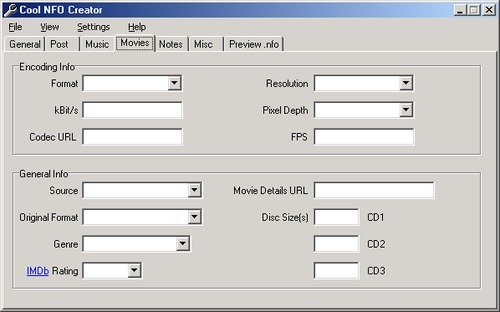 Cool NFO Creator covers just about everything you could think of when making a NFO file. Have a look for yourself.